Vegetable gardening can cost you a minor investment, but what you get in return is well worth it! 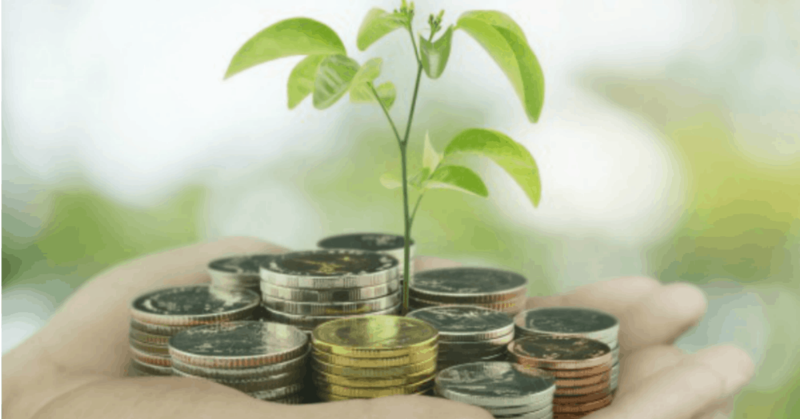 Planting a garden can actually save you money in more ways than one, and who wouldn’t enjoy keeping a little cash in their pockets? Vegetable gardening has always been a standard in money saving or families on a budget, but there are many more things than just cutting your grocery budget to consider. 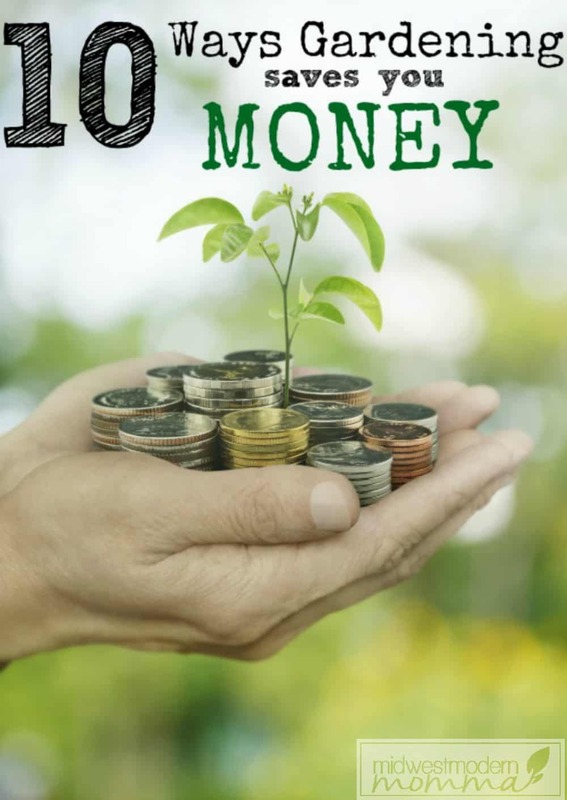 To help encourage you to invest time into vegetable gardening this summer, we are sharing, even more, ways it saves you money. 1. Living healthy means fewer doctors visits. When you eat fresh and healthy fruits and vegetables, you tend to be healthier and require fewer doctor visits and care. Gardening provides these healthy eats for you, and can save you money on doctor visits in the future. 2. Gardening can be your cardio. There is no sense in paying for a gym membership when it is the vegetable gardening season! Between the digging, weed pulling, squatting, lifting, watering, and harvesting you do, your body gets plenty of a workout in! Save money on the gym during the summer and let the garden be your cardio. To save your knees, invest in a kneeling pad for when you are pulling those weeds, though! 3. Save money on future grocery bills when you can. When you can the produce you grow, you are able to buy less on future grocery store visits. Can your tomatoes, strawberries, corn, carrots, and cucumbers so you can enjoy them in the winter months and spend less. If you are new to canning, grab the Ball Complete Guide To Home Preserving book as a great instruction manual. 4. You avoid impulse purchases. Remember that time you were making tacos and needed a tomato? So you ran to the store and bought the tomato, and a candy bar, and a pack of gum, and two other impulse purchases. Skip the impulse purchases by planting a garden and having everything at your fingertips. Have you ever seen how much a few sprigs of fresh herbs cost at the grocery store? At least $4 a container! Instead, grow your own and save some serious cash. Preserve your herbs as you harvest them and they will last you even longer and save you even more. 6. Gardening is free entertainment. Instead of a night out, enjoy a night in, you’re your garden! Tend to your garden or enjoy a dinner picnic in it. Or, craft a decoration for it. Enjoy your garden as entertainment that doesn’t cost you a dime. 7. Gardening teaches lessons to kids. Sure you could buy books to teach kids about plants and nature, but taking them into the vegetable gardening process and letting them enjoy and learn from it is free. Gardening teaches many wonderful lessons to children and it does so at no cost to you. 8. No more fancy grocery stores. Forget shopping the fancy and expensive organic grocery stores. When you grow your own garden, you have everything you need right in your back yard for a fraction of the cost. This also curbs the impulse purchases you might cave into when visiting these stores. 9. No more wasted produce. Are you tired of getting produce from the store only to not use it in time or realize it is bad? When you grow your own garden there is no waste. You pick items as you need them when you need them. No more tossing your money into the trash! 10. You can plan meals around your produce. Your garden can help you better meal plan which is sure to save you money. Plan meals around what is in season in your garden and you will not only enjoy fresh ingredients but dinner at a great price. 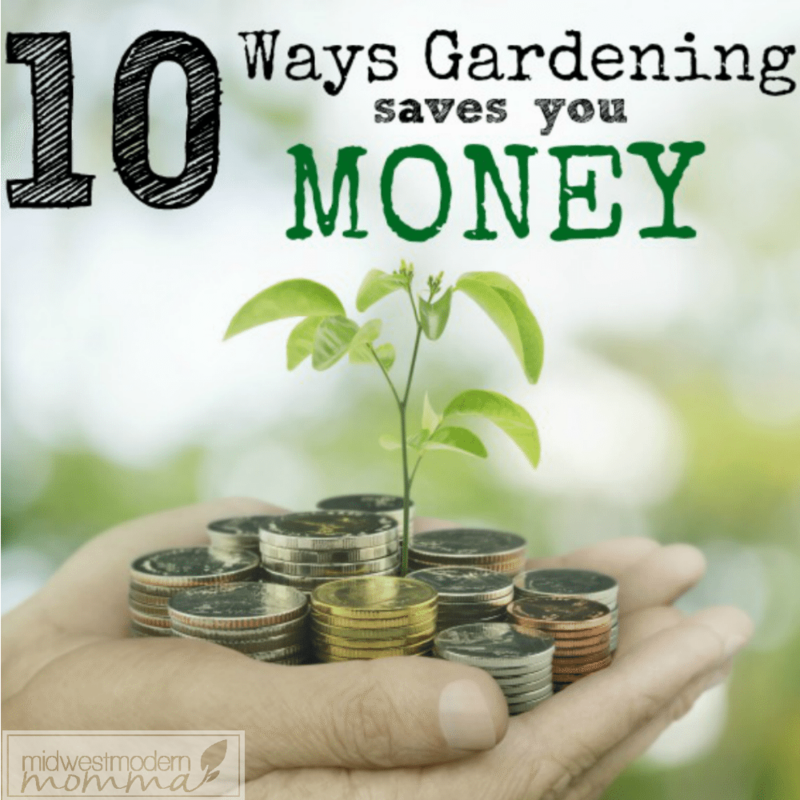 Sure gardening is enjoyable, but did you ever think it could save you money too? Hopefully, these ways vegetable gardening can save you money have inspired you to plant your own this growing season.